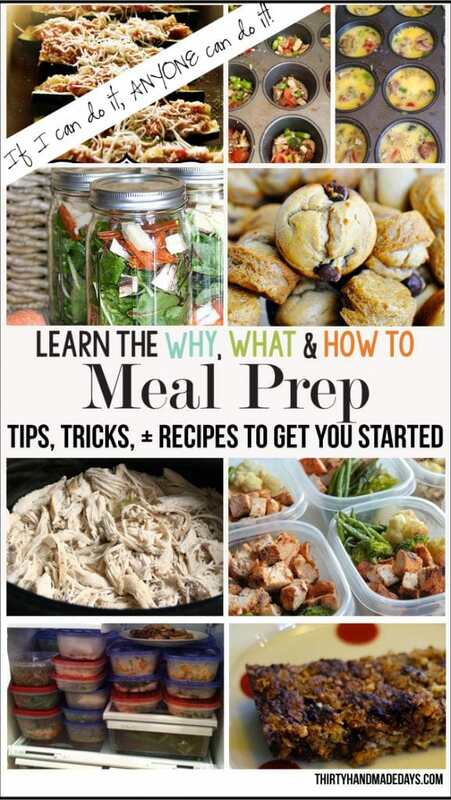 Why, what and how-to’s for meal prep with 100 tips, tricks, recipes. How to menu “plan” when you don’t really like to meal plan. Colorful free weekly menu plan with shop list and daily serving checklist. 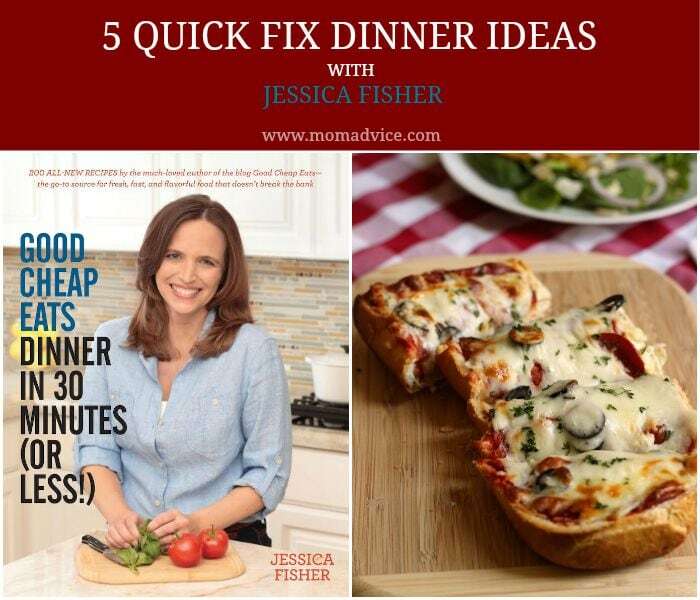 An easy monthly meal planning idea. Menu planning tricks for times when you get stuck. Set yourself up for success with this beginner’s guide to meal planning. DIY recipe organization & meal planning binder. Free money saving weekly meal plans with recipes & grocery lists. 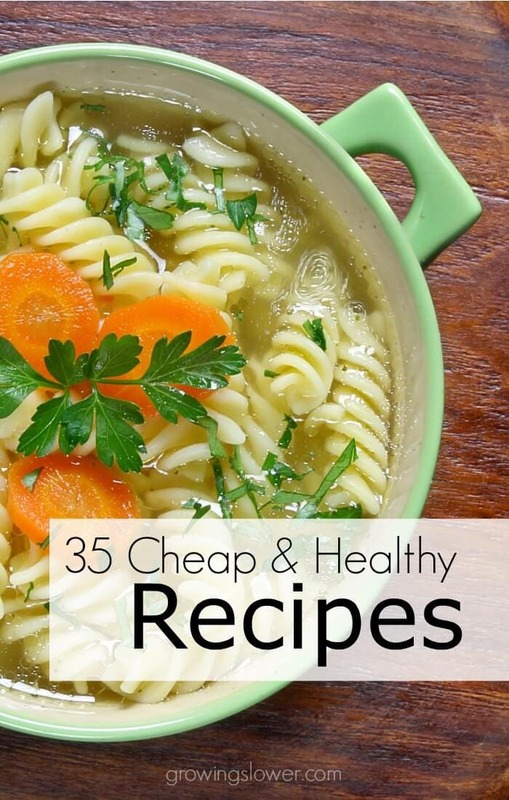 Eat healthy and save money with these 35 recipes to inspire your meal planning. 10 Sunday food prep ideas for busy weeks. 15 grab ‘n go breakfast ideas that are freezer friendly. 10 make ahead lunches meal plan with tips for packing lunches. 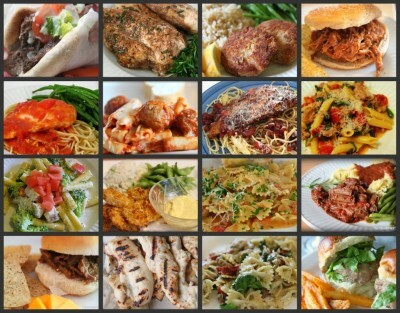 100 low budget meals anyone will love. A list of foods that freeze well. How to prep a week’s worth of meals to stay on track with your plan & your budget. 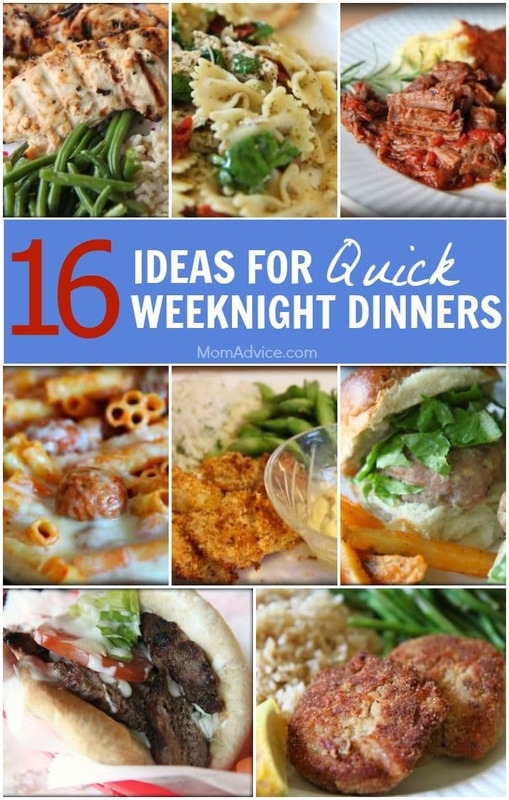 30 freezer meal ideas for busy moms. 13 main dish recipes with 3 ingredients. Sometimes I think my family is out to get me. I mean, surely they can’t be so obnoxious without some planning or plotting! Could they be this difficult naturally? All at the same time? Without coordinating their attack on my patience and sanity? These are the thoughts that bombard me several times a week, almost always in regard to dinner. DINNER. They want it every single day. Every! Single! Day! And do they want the same things? NO! Sigh. Okay, fine. They’re probably not out to get me. But I bet I’m not the only wife/mom/home manager to feel that way – especially around dinnertime! So in case you also struggle with picky eaters or busy schedules or lack of motivation (oh, just me? 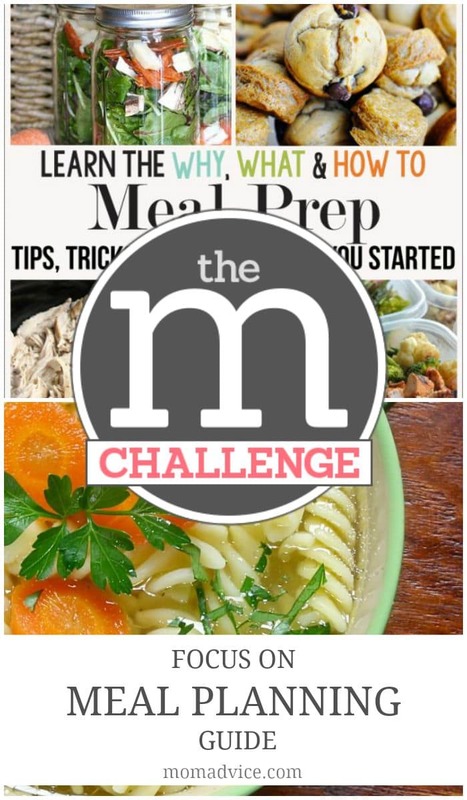 ), I thought I’d take a look at three of the challenges – and their solutions – I face to meal planning for my family. Me: Nothing. Just thinking about everything I need to do. Me: No. I just need more hours. Could you give me more hours? Poor guy. He just wants to snuggle on the couch and watch another episode of Blue Bloods with his wife, and here I am mentally reviewing my to-do list and trying to figure out how to get it all done – no – get ANYTHING done. Because I often feel like the repetitive but necessary tasks of everyday life take up 90% of my time, leaving me very little margin for new ideas, extra projects or defrosting my refrigerator. So when I think about making a menu and a corresponding grocery list, it feels overwhelming. I mean, REALLY. 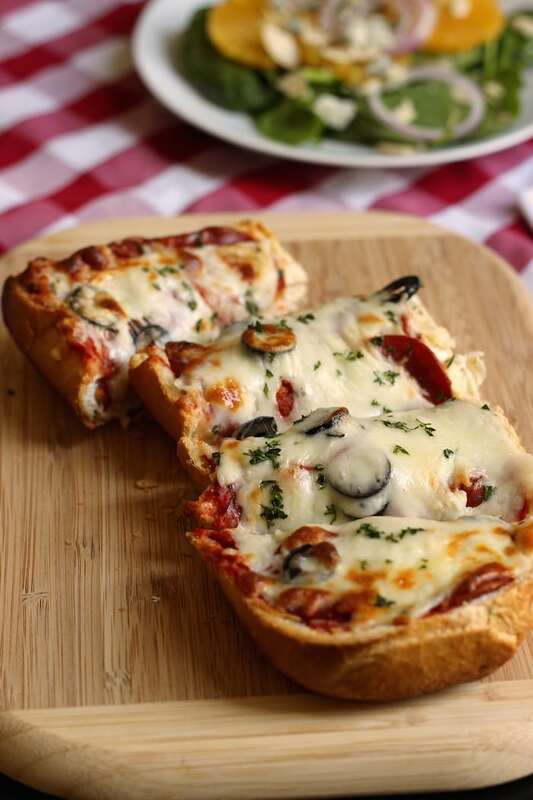 Who has three hours to sift through all those yummy recipes I’ve pinned and clipped over the years to find five or six meals to make in the coming week? And then to choose sides to go with it? And look in the pantry and fridge to see if we already have any of the ingredients? And THEN make a list? Gah. It seems so much faster, in the moment, to just hop in the car, drive to the store and buy what I think we need for the week. Except . . . you know just as well as I do . . . that does not EVER save me time. Or money. Or that precious commodity: sanity. Going to the store without a plan never results in the right combination of food for a week of meals! I KNOW THIS! So, how do I resist the temptation to do it anyway? Easy. I don’t make a new menu every week. Speaking of tacos, I know a lot of people who use theme nights for the meal plans. So Monday is Italian night, Tuesday is Mexican night, etc. Sometimes I do this, too – although sometimes it’s to remind us not to have Mexican three times a week. “Preferences” seemed like a nicer way to put it than, “Picky eaters.” But that’s really the issue, isn’t it? One of the things we say often in my house is that different people like different things. I started this to help my oldest daughter understand that just because someone likes green or football or country music or tattoos or Minecraft, they aren’t weird. They just like different things. But for the love of sweet potatoes (which some of us like and some don’t), finding food that all four of us like gets harder every day! And while I am NOT a short-order cook, I do want all my people to get enough to eat. So where’s the balance? My solution for now is to cater to their wishes – sometimes. I know what they like (until they change their minds again), so I plan to fix those foods and those meals often. But sometimes I want to fix and serve something that one or two of them don’t like. And in those cases, we always have peanut butter and bread (if it’s the main dish) or cup of peaches and applesauce (if it’s a side dish). I’ll let my daughter replace one of our foods, but then she has to make do with the others. So if she doesn’t want green beans OR rice, she has the choice of which one to “choke down” and which one to replace with fruit. That’s our compromise. As for new foods or new recipes, everybody has to try a few bites. And in the case of new recipes, we take a vote after giving it a try. If the majority (or at least the parents) like it, then we add it to the rotation. If not, well, at least we tried! Last but DEFINITELY not least is the biggest challenge of all in my house: motivation. I have to confess: sometimes I’m just lazy. Or busy. Or tired. Or ALL OF THE ABOVE! And the last thing I want to do is think ahead or make one more list. Especially after a week that’s included a bombed recipe or forgotten plans or unexpected dinners out. But all I have to do is a little math to get myself back on track. I know how much I spend on groceries when we’re planning and cooking meals on a regular basis at my house. So a quick calculation of how much we’ve spent on fast food and take-out when I’ve slacked off will cure my lack of motivation REAL FAST. 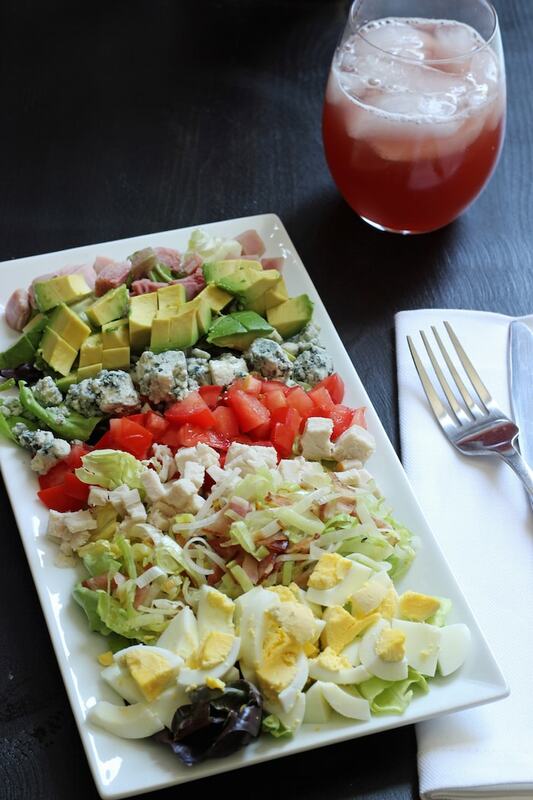 Plus, I know that we eat a lot healthier when we eat at home. And sure, I might not have to do dishes, but my trash can (and dining room table) is overflowing with Styrofoam cups and paper bags! Yuck. 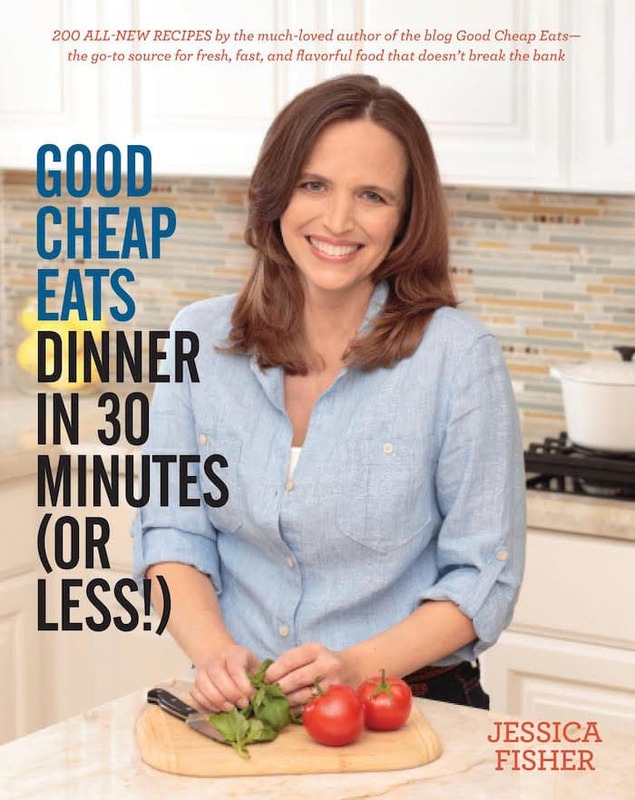 Staying mindful of those realities – and remembering my easy meal plan solutions – helps me plan meals for my family (and stay sane while doing it)! 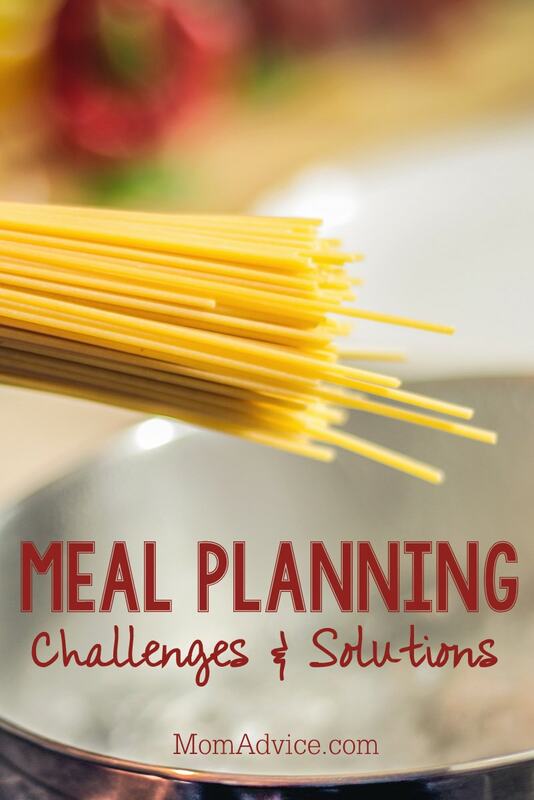 What challenges do you face when meal planning for your family?